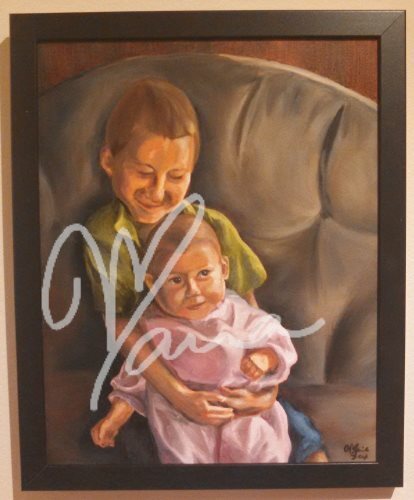 This oil is of my nephew Samuel holding my niece Sophia. Before Sophia was born, Sam desperately wanted the baby to be a puppy, but when a human girl emerged he loved her more than any other big brother I’ve ever seen. He was constantly kissing her and making comments about how beautiful she was. I hoped to capture that love with this picture.